A powerful, haunting debut that steps seamlessly from the horrors of people-trafficking to the magic of African folklore by an award-winning Ghanaian-British filmmaker, shortlisted for the Branford Boase award 2018 and nominated for the CILIP Carnegie award. A bamboo flute. A golden bangle. A ripening mango which must not fall . . .
. . . are these the missing pieces of the jigsaw which will tell Sante's story? 'An ambitious, impressive and skilful blend of modernity, mystery and myth' Nicolette Jones, The Sunday Times, Children's Book of the Week. 'A blend of magical realism and brutality, this is a powerful and original novel' Sally Morris, Daily Mail. 'A rich powerful novel, fusing the horror of people-trafficking with the magic of African folklore' The Bookseller. 'It's breath-taking stuff ... Things don't get much more original than this' Books for Keeps. 'It's hard being a writer. In such a competitive industry, you really need a fantastic writing style to stand out from the crowd. Yaba Badoe has that in spades. 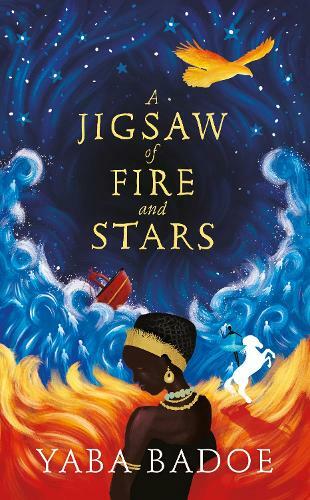 The richness of her writing, and the breadth of colourful imagery she uses, is very evocative and creates a world in which issues like the migrant crisis exist side by side with magic to create something unique. In short, it's great' Roaring Bookworm. 'Badoe's novel deftly entwines some of the tropes of the fairy-tale tradition with the tragic realities of Europe's contemporary migrant situation ... One of the most interesting and unusual debuts I've read for a while. Badoe throws you straight into the action and yet manages to also infuse the story with magical qualities' Childtastic Books. 'A rich and vibrant YA novel ... definitely one to watch' Askews. 'A memorable, haunting young adult tale' The Bookbag. 'A wildly original novel and something really different in YA ... An ambitious, diverse and challenging novel, the like of which I'm really pleased to see in YA. It's vastly different to anything else being marketed at teens and also features plenty to engage an adult reader' Wilde on My Side. 'A celebration of all forms of diversity, a joyful call to inclusion, released by House of Zeus into the globally charged, high-pitched debate about closed and open borders. This children's book is Yaba Badoe's love-song, an antidote to the hateful rhetoric and divisive politics miring that debate' Borders Literature. 'A beautifully written, unusual story ... A gripping tale and an introduction to a rich and rewarding writing style' School Library Association. 'I have read it twice and want to go back for a third reading. It's rich and powerful and special' M.G. Leonard, author of Beetle Boy. 'A powerful, magical story that deserves to be read widely' Sophie Anderson, author of The House With Chicken Legs. 'Astutely mashes modernity and folklore with incredible vibrancy of language in the haunting tale of people-trafficking and circus skills' Independent. 'A richly woven mix of magical realism and Ghanaian mythology combine to make a unique, intriguing novel' Metro, Best Boosk for Kids. Firstly, thank you to Sophie Anderson for recommending this author to me! Also, thank you to the publishers for this review copy. This was the sixth of my 2018 holiday reads.